Butterflies, Bracelets, and a BIG PARTY! Hey hey Jammers! Sorry about not posting yesterday, I just didn't feel like it. Heheheh... Okay, well, getting down to business, the Jam Mart Clothing items are a Pearl Bracelet and a Butterfly Hair Bow! Both AMAZING items! Meanwhile, in Jam Mart Furniture, the Four Square Court, Tetherball, and Bean Bag Toss have returned! Be sure to pick up these fun items while they last! Okay, you know how I didn't post yesterday? Well, it was ALSO because I was at a party. 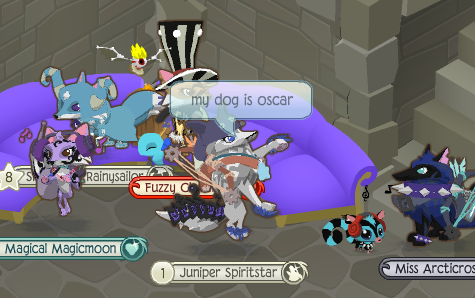 VIOLET86271's PARTY AT HER DEN! 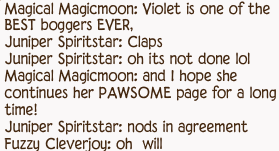 ( In case you do not know, Violet86271 is the author of the AJ blog, the Animal Jam Legendary Palooza.) I was SOO happy to have made it there, and I was SOO glad I did! 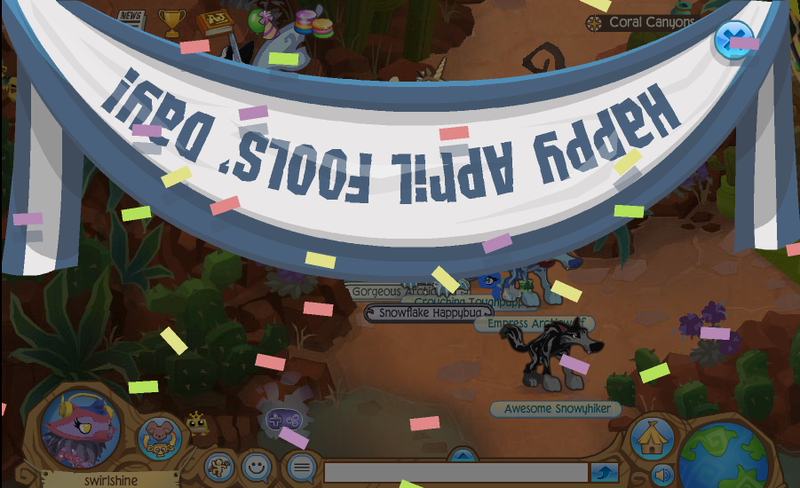 First, we played " Find Belle the Rhino", and when I won a round, Violet gave me a Rare Pink Purse!!! Violet said she loved my speech :) I'm so glad! I even met Nafaria9 and QTAngel at the event!!! Yaay! It was super fun, and thanks, Violet, for throwing the party! I am sure EVERYONE had fun!!! Geckos, Llamas, Hacker News, and More! Hey Jammers! We have a LOT to go over today, so let's get started! First off, the new items are the Horn Helmet AND Three Horned Armor! I will say, the armor IS VERY expensive 1,500 gems! It should be in Epic Wonders! 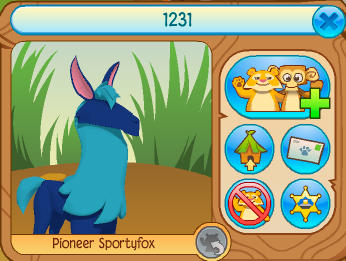 Also, have all you Jammers heard about 1231's HACKED LLAMA!? It is ALL OVER in Internet! I think it would be a GREAT ADDITION to Jamaa! 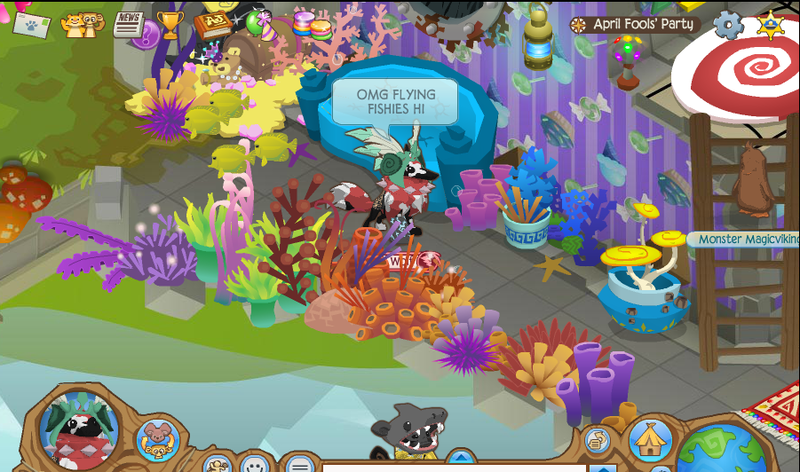 Picture Credit to Animal Jam Flash! See? Half of it is off the screen, and ONLY ITS NECK shows in the circle! I agree with Meloetta, it obviously was not fully developed yet! Keep working on it, AJHQ! 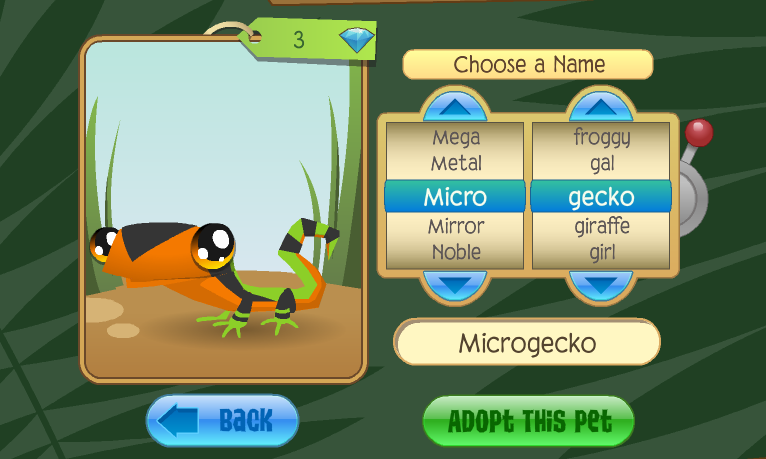 Okay, next up, GECKOS! 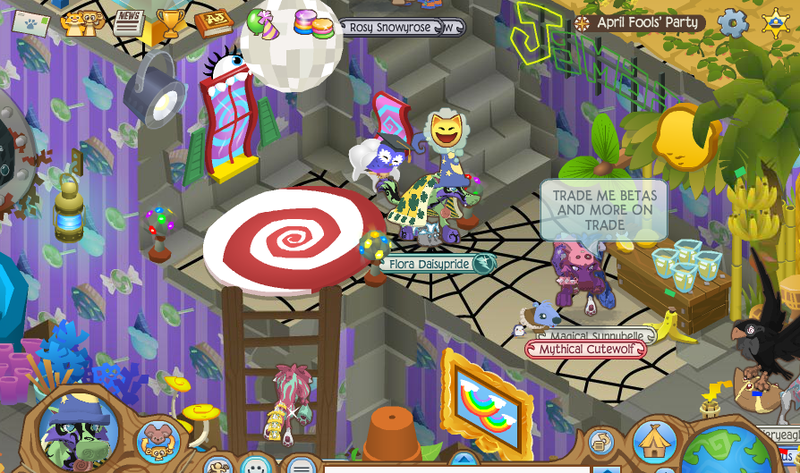 I am sure you ALL know this, but PET GECKOS, as I suspected, have come to the Diamond Shop! Look how CUTE they are! Aww! THIS will be MY pet Gecko! 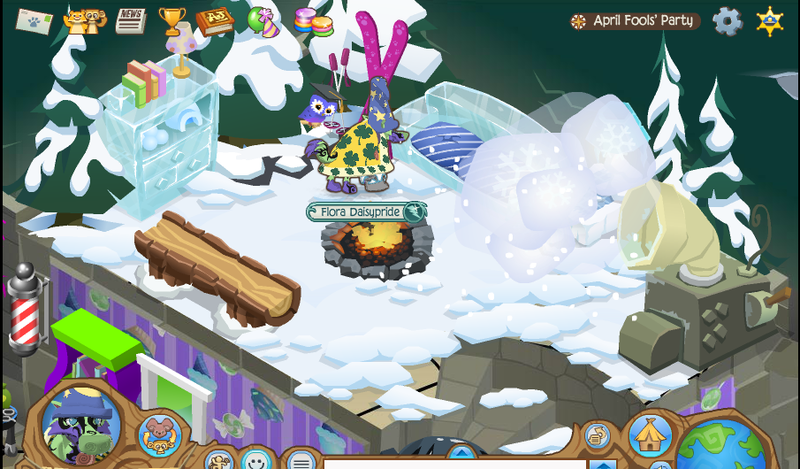 :) Yes, I have enough Diamonds, but I wanna save up for the next ANIMAL coming, then I will get some pets! Yay! But, there IS a way to get to his den! If you search up Teals, her player card will pop up. 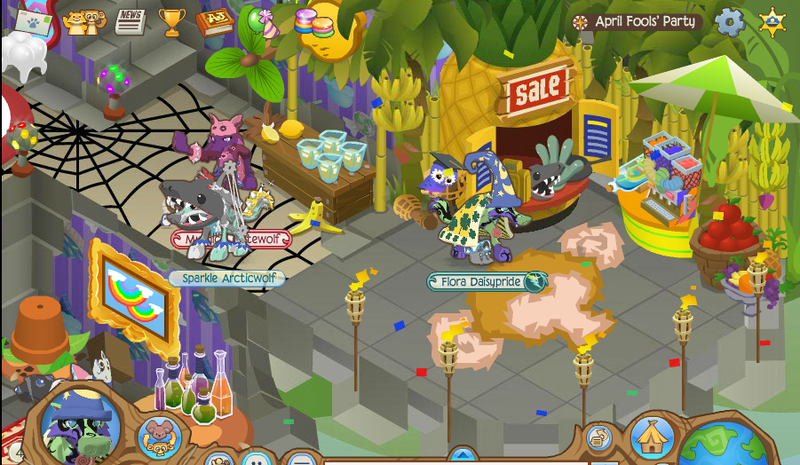 Click to go to her den, and by the entrance, there will be a Diamond Shop Den Portal for Non members. Click on it to go through, and PRESTO! You arrive at Julian2's den! 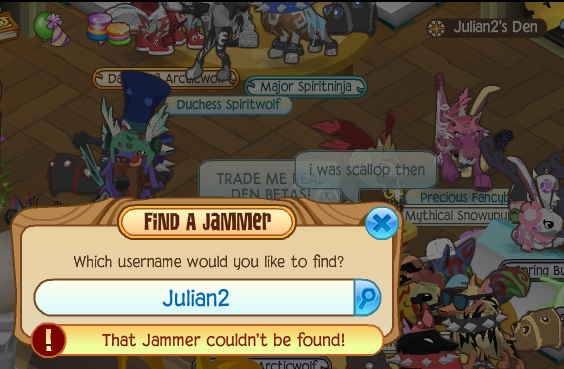 Now, it DOESN'T let you look him up, OR click his name tag, because he was banned by a hacker called Wrenchedjungle, or by the username, Wrenched. He hacked many famous YouTubers of their AJ items, Wootmoo, Wisteriamoon, and a few more! Rumor has it that Wisteria had a PASSWORD BATTLE with the hacker after her fried texted her saying she was online! 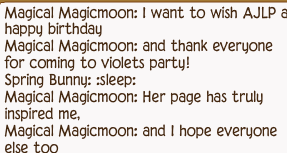 Luckily, Wisteriamoon was able to get all her good items to another account before it was too late and the hacker changed the password once again. Wootmoo, though, didn't get a chance to save his items, and, if you go to his den, there will be nothing there, only a empty, non member den, and a creepy-looking wolf of Wootmoo's. Also, at Julian2's den, a creepy looking tiger by the first name "Wrenched" is showing up, and sent me a Jam A Gram saying "Thanks for the trade!" even though I DID NOT trade him. I know that he is probably a fake, but, if you see one of these black tigers with white eyes, and red splats on it, I suggest you stay away! So, have you seen the "Coming Soon!" picture in the Jamaa Journal? Yes, that's right, this picture shows something BIG will be coming probably NEXT WEEK! I guess it will be a new ADEVENTURE! I mean, look at it! Those plants by the rock are like the ones spotted in Adventures, and do you remember that little cave at the Adventure Base Camp by the Ocean Base Camp? It obviously is waiting to be used, so why not for a NEW ADVENTURE!? 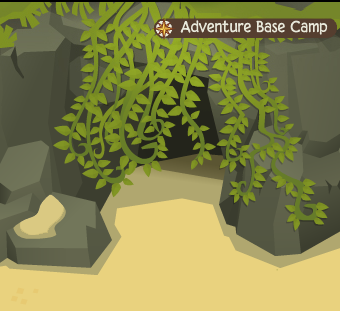 And, there is water in the Jamaa Journal picture, AND water by the cave! And tall rocks! Why NOT an Adventure! Now, it COULD MAYBE be a NEW DEN, but I KINDA doubt that they would make ANOTHER water-beachy- den, after the Waterpark den. A new LAND is another thought, but WHERE would they put it, and doesn't it look TOO MUCH like Crystal Sands? These are just my opinions, maybe you Jammers have another idea! Feel free to Jam A Gram me on AJ! Also, it seems the Cruise Ship Party has returned! I LOVE this Party! Mainly because of all the WATER! I LOVE swimming! I also like the back of the boat, where you can rest, the dolphins down below, and the WATERSLIDE! All SO FUN! Be sure to check it out! 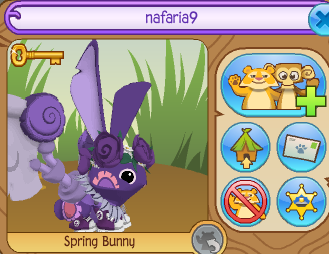 And, lastly, the SPRING BUNNY has arrived! 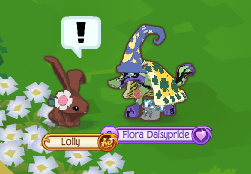 Yes, just redeem ANY Animal Jam gift card by JULY, and YOU GET A SPRING BUNNY, PLUS THREE CARROT ITEMS, a CARROT TABLE, CARROT CHAIR, and a CARROT COUCH! 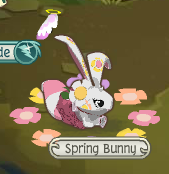 The bunnies come with the name "Spring Bunny" and have a flower pattern on their bodies. You can changed the ear and body color, but NOT the flower color. You get one out of eight pattern color options, and you also can not change the color of the pattern. When these bunnies walk, they leave a trail of colorful flowers behind them, and around then when they stand! Garden Hats, Glasses, and T-Shirts, OH MY! What up AJammers!? Sorry for the late post, I had a friend over yesterday! Anyway, let's move on to our Jam Mart Clothing Items: the Square Glasses, Gardening Hat, and... wait for it... PHANTOM SHIRT! Yes that's right, these once "beta" shirts are now for 500 gems in the store! I personally HATE that. I traded BETAS for those shirts! But, the good news is, I traded AWAY all those shirits for Betas! Oh wait, is that mean? I don't know. I don't wanna sound mean. But I don't really know. So PLEASE don't say I'm mean! Okay, that's over, now what? 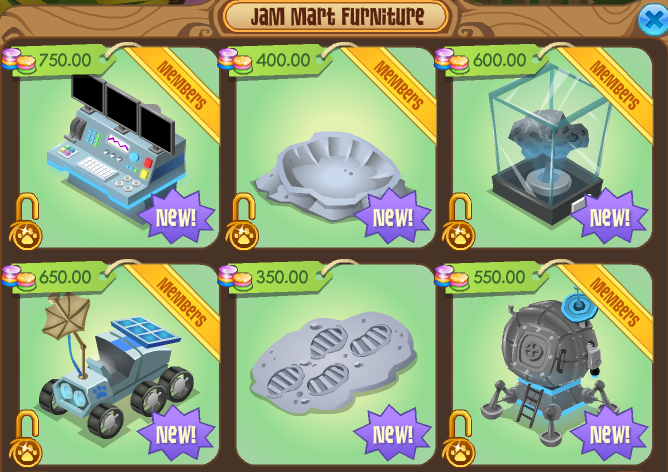 Oh yes, the Jam Mart FURNITURE items now! This week, we have the Space Commander Chair, Space Airlock, and the Space Locker! I'm not a big fan of the chair, but the Airlock is cool, and the Locker has space gear inside, cool! Well, let's see, what's next? Oh yes! 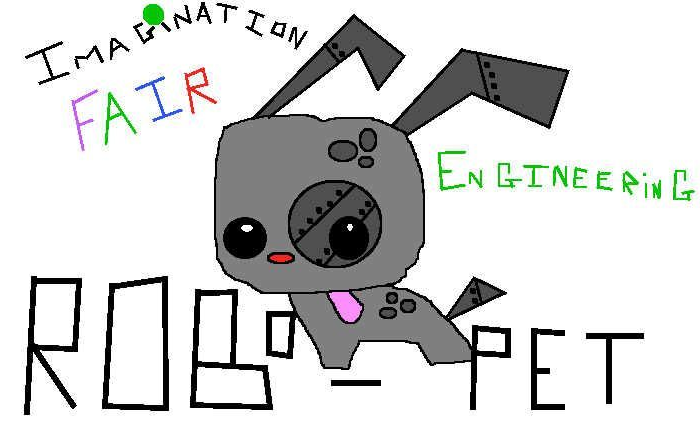 I wanted to show you all that AJHQ has picked a winner for the Engineering and Technology parts of the Imagination Fair! I love how AJ drew those! So realistic! Actually, MORE realistic than AJ!! Lol! 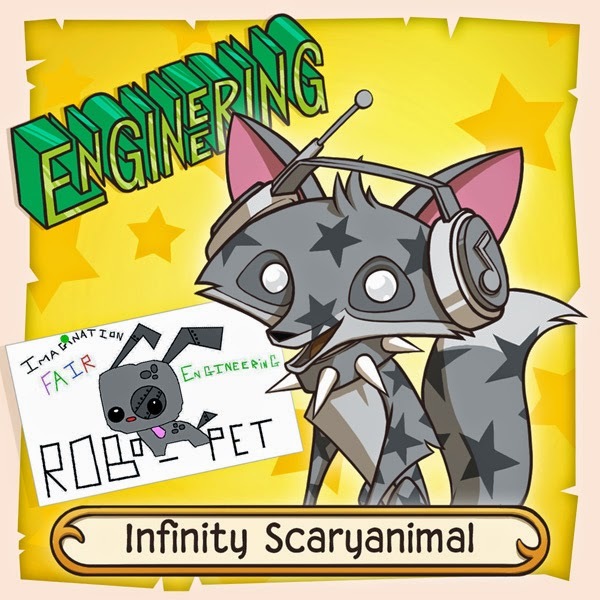 And once you click on them, it shows the inventions up close! 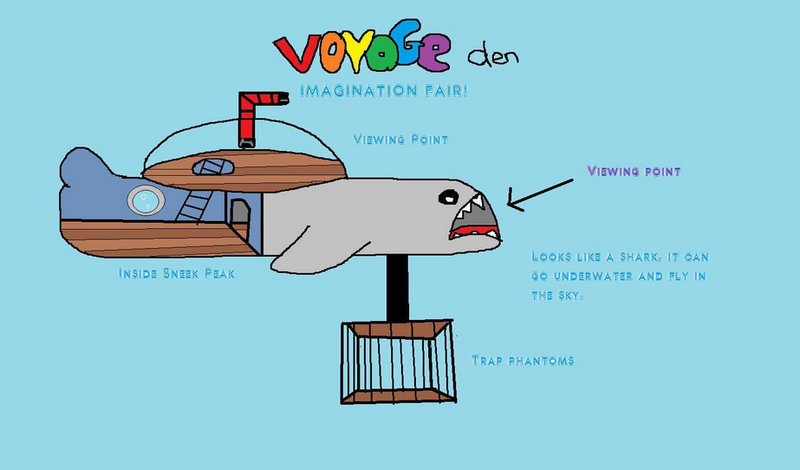 OMG A VOYAGE DEN!!?? COOL! A place to trap phantoms, shark outside, cool inside... LOVE IT! HOPE IT IS ADDED! Eheheheh... well Jammers... this was on of my shorter posts. Not much new going on on AJ. 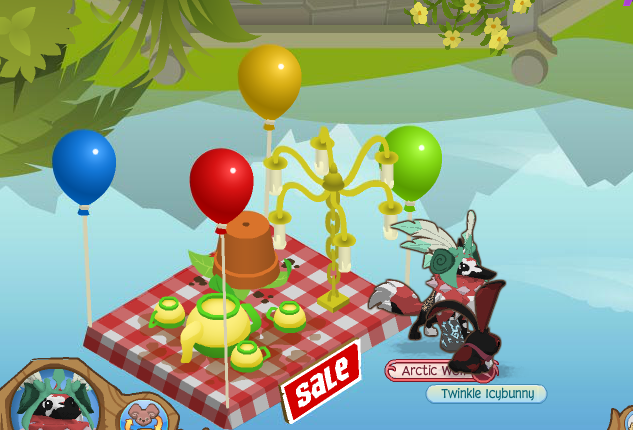 In fact, I even started Club Penguin, so if you wanna buddy me on CP, I am called Swirlshimmer! Hey Jammers! 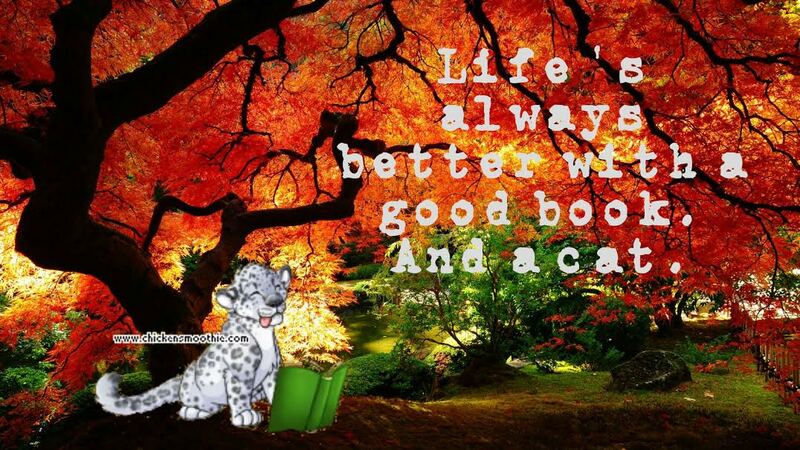 Here are some graphics that I LITERALLY JUST found out how to make! Feel free to use any you want! Uh, heheh, that is all for now! I will post more when I find them! Spring Festival, Deep Space, and more! Space Control Center, Space Crater, Display Meteorite, Lunar Rover, Lunar Footprints, and Lunar Landing Pod! And our two NEWEST items, Rover Tracks, and a Space Satellite! All VERY cool! So, have any of you Jammers tried out the LATEST and GREATEST adventure, Spring Festival? I think it is a BIG HIT! 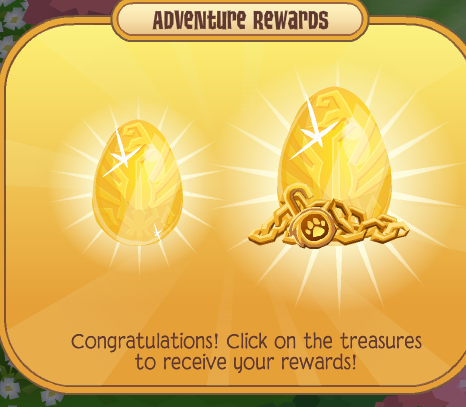 The object of the adventure is to find 100, yes, 100, eggs hidden throughout the land. 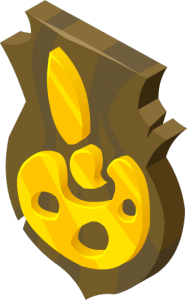 In this adventure, the map is shaped like a flower, and there are quite a few sections to find the beatuifully decorated Easter eggs! 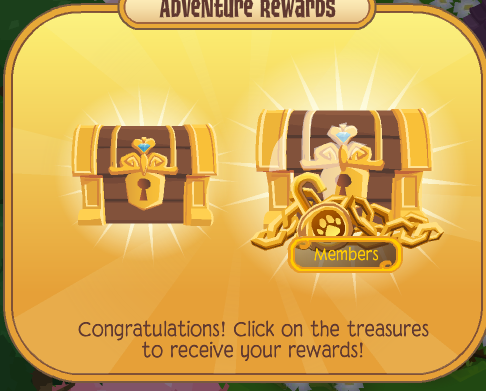 Here are some pics to guide you through this fun new adventure! First, you talk to Lolly the bunny! Then, your are off! You go whatever way you want first. 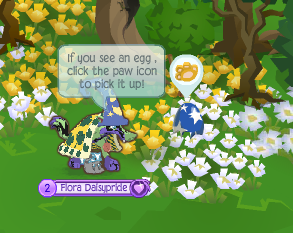 Then the egg is added to your collection, shown on the top left corner! You have a few goals to achieve, first, 15 eegs, then 35, then 65, and lastly, 100! I didn't really get 100 eggs yet, it becomes VERY TRICKY once you only need about 3 more eggs to get to 100! 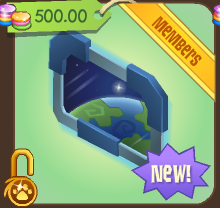 Once you get past a goal, you get a prize, or two, if you are a member! 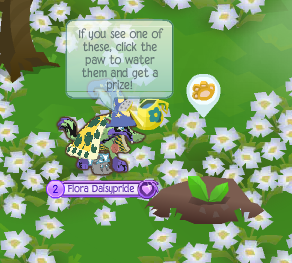 Once the seedling is watered, you will get one or two prizes from golden eggs! There are many places to explore and find eggs on the map, a hedge maze, a topiary garden, and more, so who knows what YOU may find! 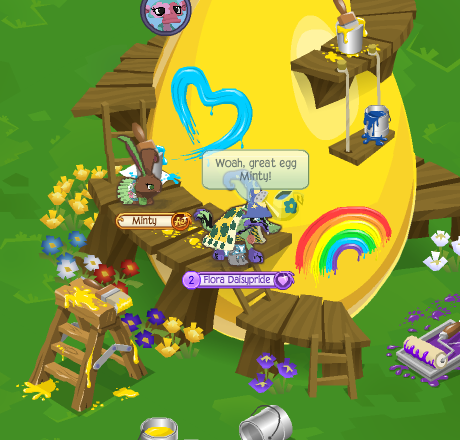 There is also, at the beginning, a cute little AJHQ bunny called Minty, by a GINORMOUS GOLDEN EGG! 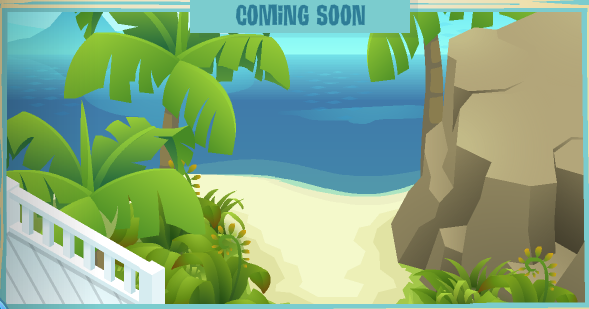 And lastly, we have a mysterious "Coming Soon" message in the Jamaa Journal. 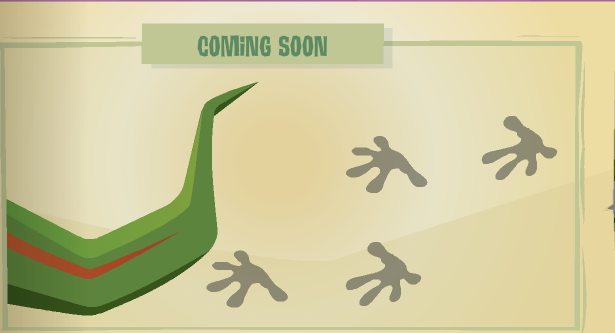 Well Jammers, if you wonder what animal this new arrival may be, I know exactly what it is! WARNING: DO NOT READ BEYOND THIS POINT UNLESS YOU WANT A SPOILER! 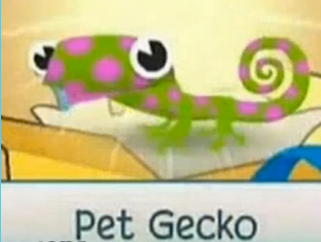 Yes, it is true, PET geckos are coming to Jamaa! Don't believe me? Here is your proof: A leaked photo of one!!! DAAW SO CUTE! ITS LITTLE EYES! 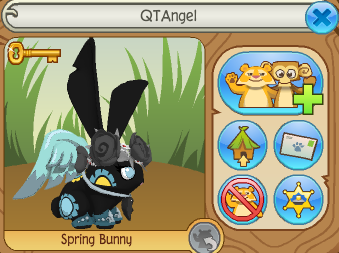 And someone got this pet from a GIFT! AWWWWWWWWWWW! COME GECKOS COME TO MEH!!! 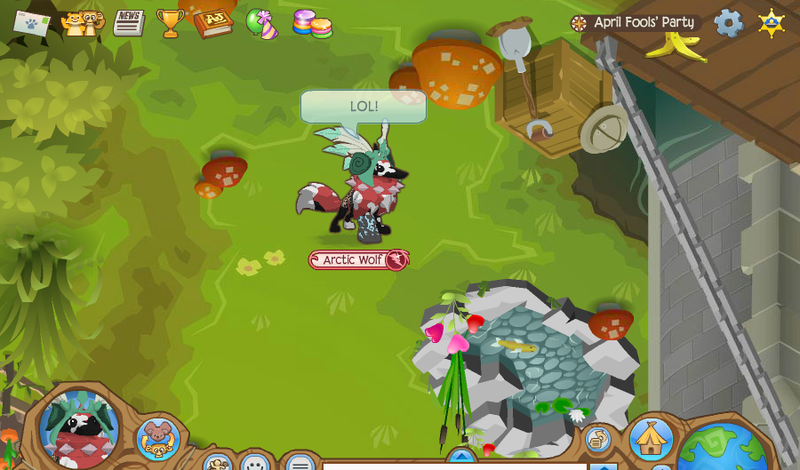 Thanks to Animal Jam River for finding these pictures! Hey Jammers! I don't really like you people, so I am ending this post. Bye SUCKERS! OKAY OKAY APRIL FOOLS! I DO like everyone :D And I am NOT ending this post! Well, once I logged in yesterday, this banner appeared, even though it was, like, 9:25 or something. On the 31st. But it looks cool! Yay! It's backwards AND upside down! Woah! AND CONFETTI! EVERYTHING IS AWESOME-ER WITH CONFETTI! WOO! 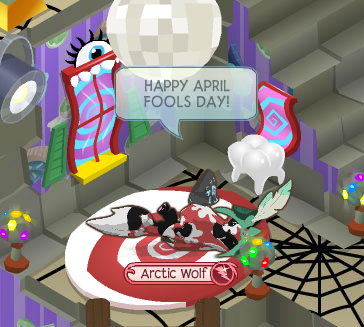 So, I went to the newly arrived APRIL FOOLS PARTY! EVERYTHING IS UPSIDE DOWN EVEN THE WHOLE CASTLE! Don't you fall out of yo pond, little fishie! Amd thw waterfall goes UP! LOL WACKY! Here is the party-like room of the upside down party! Shark Hats are finally in stores! I love the new Dizzy Stars as well! 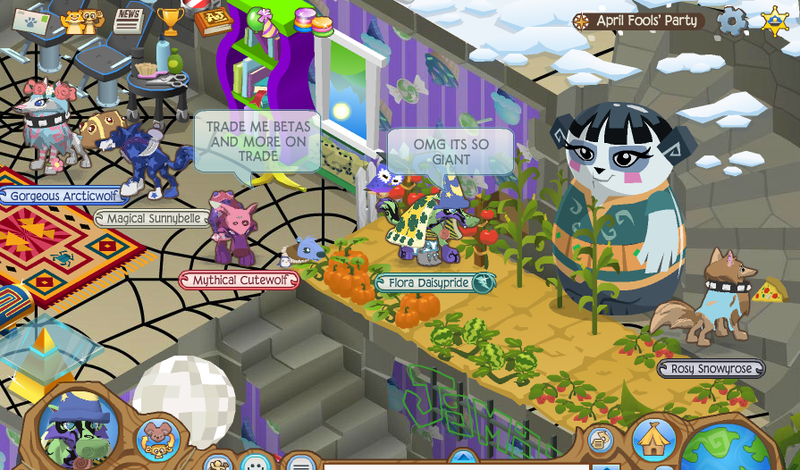 AHH GIANT ALIEN LIZA HERE TO TAKE OVER DA WOORLD! AND SHE IS STANDING IN A... HOUSE GARDEN?! And WOAH! UNDERWATER ITEMS ON LAND!? AND OMG, REAL LITERATE FLYING FISHIES!! 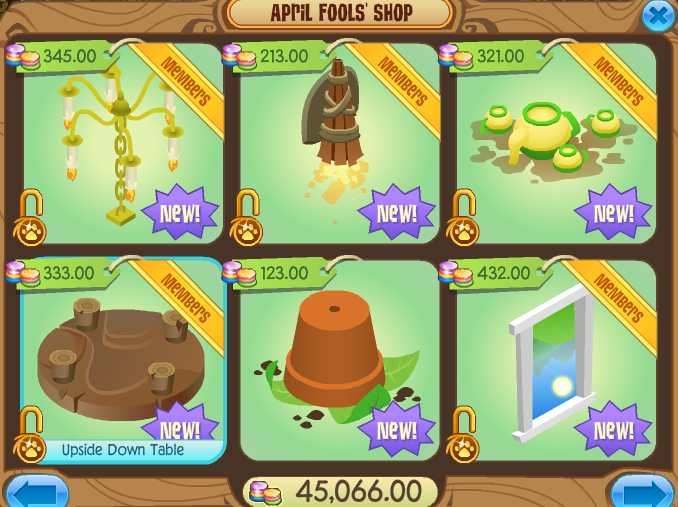 If you stand on the SKY, you will see this SALE table. 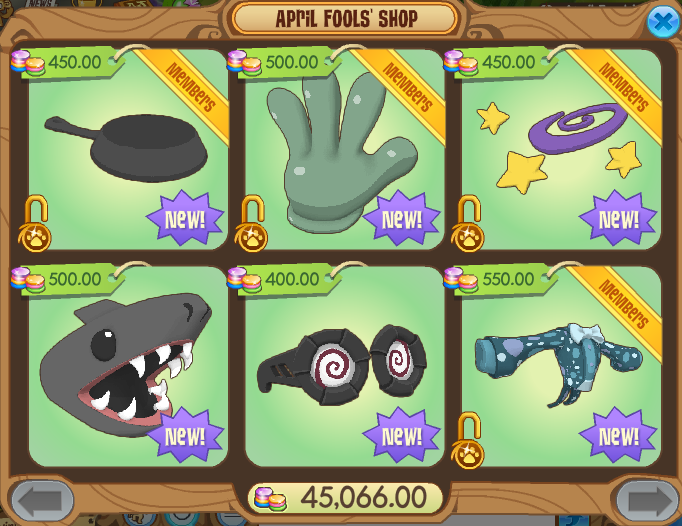 If you click on it, these items are available! Woah. All these things on this page are new! Banana Peel I like, Rug looks like a tape despenser, Spring Light is cool, Window is just... creepy, tooth Chair is like, PET SIZE, and rug looks like a chicken! LOL! And lastly, WHY DOES THIS RAINBOW FRAME KEEPO POPPING UP IN EVERY PARTY!? 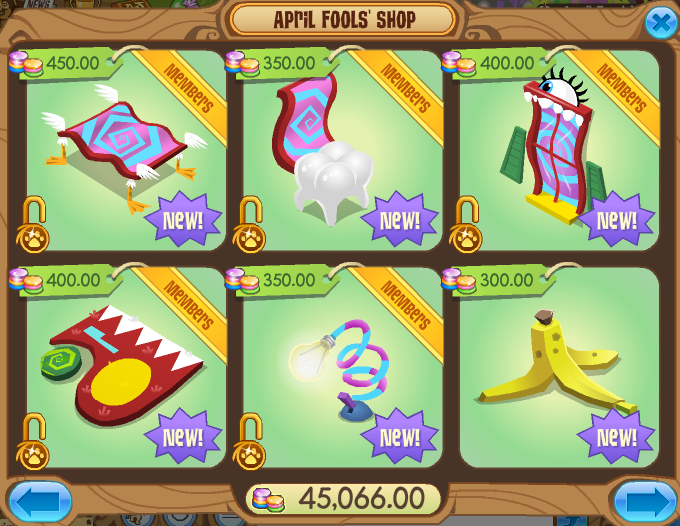 Lucky Party, and now April Fools too? What do you think? Will it be a new item soon? I hope so, AJHQ has not yet made any picture frames in AJ yet! Well Jammers, all that's left to tell you is that the RIM reappeared in JMC yesterday. REMEMBER TO TAKE YOUR R.I.M.S OFF AJ, AJHQ! P.S. Oh yeah, and Fart On. JK, I MEAN JAM ON! LOL! What's your favorite part about Balloosh on AJ? Oh yeah! Please don't forget to read the commenting rules at the bottom of the page, even though I do moderate the comments anyway! But who wants to hear me jabber on for fifteen more minutes?! Go on, and enjoy... 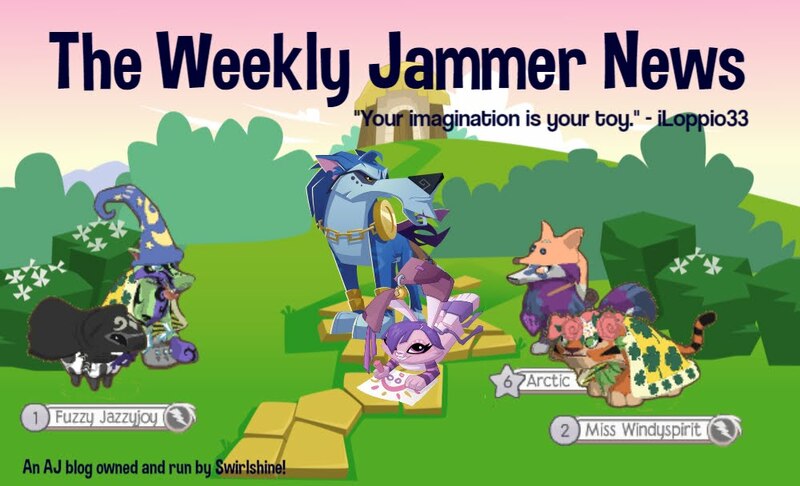 THE WEEKLY JAMMER NEWS! Join The "No More New Spikes" Movement! Winner of the AJJ's 2017 Summer Story Contest! Click the picture to read The Tale Of Aspen Island! How many views have we gotten? COPYRIGHT. Pictures are not always mine. Picture Window theme. Powered by Blogger.